Late summer in Glenwood Springs is like biting into a ripe peach at the Tuesday Farmer’s Market – delicious. It’s the perfect time to catch some summer sun at the Glenwood Hot Springs Pool, cool off with a rafting adventure, saddle up for a horseback ride, pedal the river trails, zipline across the Colorado River in Glenwood Canyon or fly high on attractions at Glenwood Caverns Adventure Park. Plenty of events also pepper the calendar including Founder’s Day and free entertainment in downtown Glenwood Springs. 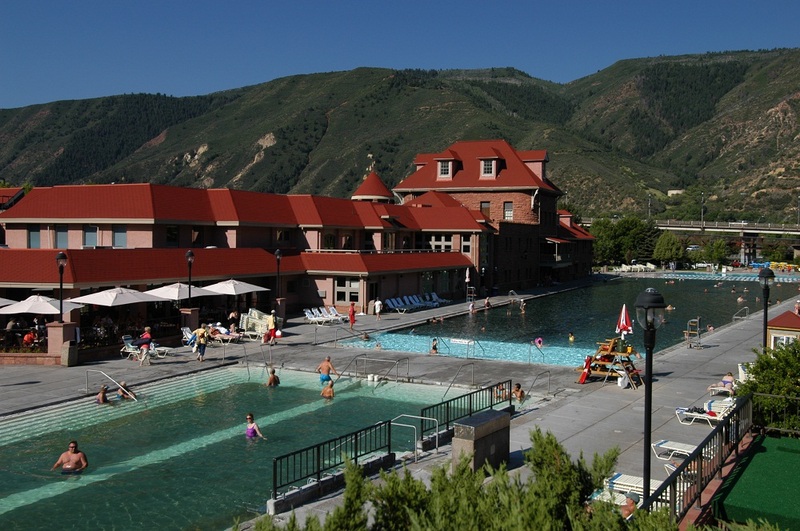 To sample a slice of summer fun, head to Glenwood Springs in August and September. It’s true, the kids will be heading back to school soon and it won’t be long before the aspen leaves turn from green to gold, but August and September are two of the best months to relish the summer season in Glenwood Springs. The days are warm with temperatures in the mid 80s while the nights are cool, dropping into the 50s, it’s the ideal time to indulge in the mountain and river town’s famed outdoor activities like rafting, horseback riding, cycling, ziplining, adventure rides and more. Special events that celebrate Glenwood’s historic 125th birthday spice things up through the Labor Day holiday. “August and September in Glenwood Springs are truly the halcyon days of summer. There’s a laid back, relaxed feeling to the town that’s palpable; everyone is savoring the last, best days of the late summer season by taking the opportunity to enjoy their favorite pastimes before the leaves change and the snow starts to fly,” said Lindsey Lewis, Vice President of Tourism Marketing for the Glenwood Springs Chamber Resort Association. Seasonal activities like rafting are a refreshing way to spend an afternoon through the end of September. Though the rivers are not running as fast as they were during the spring runoff, Colorado River flows continue to be over 2700 cfs, and that means there’s still plenty of whitewater excitement to be had on class III rapids with names like Baptism and Tombstone. 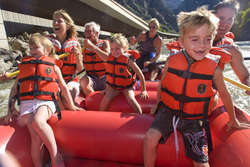 The lower water flows allow rafters more time to float, relax and take in the magnificent views of Glenwood Canyon. Full and half day river trips are available through four local rafting companies. For those who prefer their outings on land, hiking, biking and horseback riding are a great way to sample the majestic beauty around Glenwood Springs. 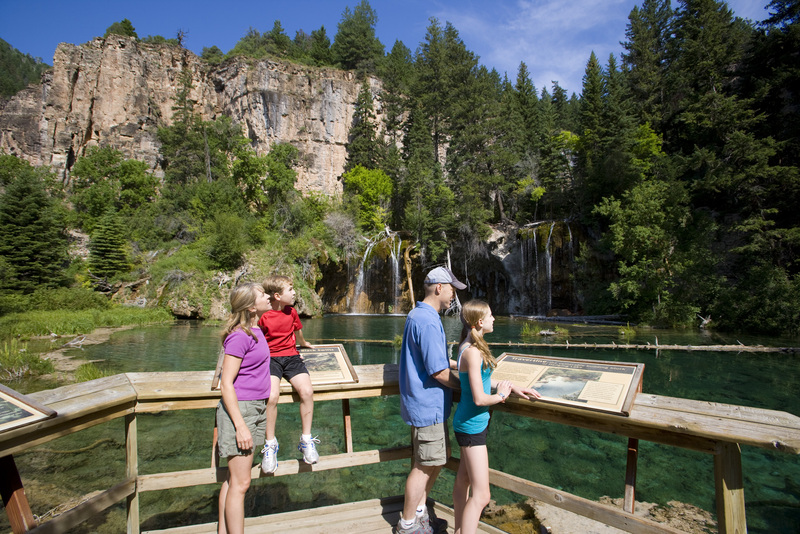 Hanging Lake, one of Colorado’s most beloved trails has undergone a major transformation. After being closed for the entire summer, the trail in Glenwood Canyon is scheduled to reopen on Monday, August 16, with only one additional closure the weekend of September 17 to19 to allow volunteer trail crews to complete reconstruction projects on the lower sections of the trail. Once again hikers will be able to trek the 1.5 miles to the crystal clear lake and enjoy the improvements that include a new boardwalk and observation platforms. 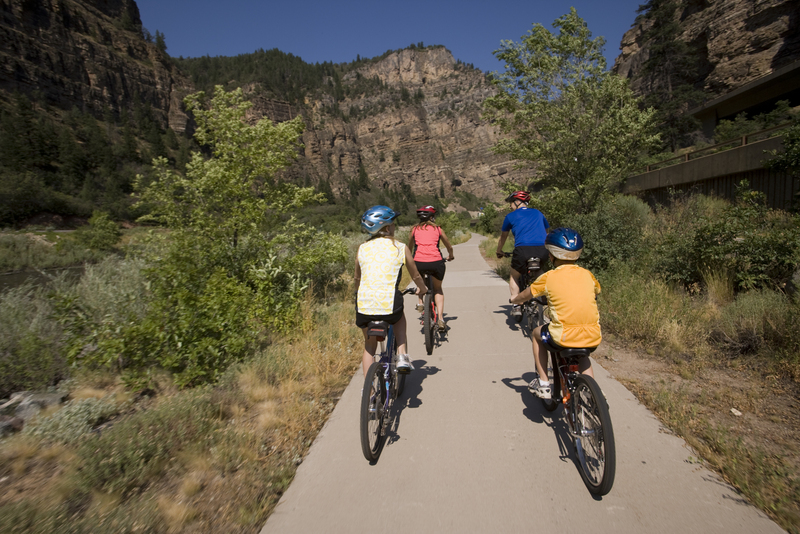 Cycling in Glenwood Canyon is also a prime activity in August and September. Ride the sixteen mile trail that hugs the Colorado River and catch a glimpse of Colorado wildlife, especially the Bighorn Sheep that like to congregate near the pedestrian/cycling bridge over I-70. Another option is cycling the Rio Grande Trail that follows the Roaring Fork River. The Roaring Fork Transit Authority’s award winning Bike Express bus takes cyclists from Glenwood to Aspen on Saturdays and Sundays through September 6. They can then pedal down the valley at a leisurely pace. A memorable way to experience Glenwood Springs’ stunning scenery is by horseback. Choose from short trail rides, day-long adventures, hay rides and wilderness pack trips. There’s no more relaxing way to soak in the stunning views of Glenwood’s high-country trails, pristine forests and meadows. 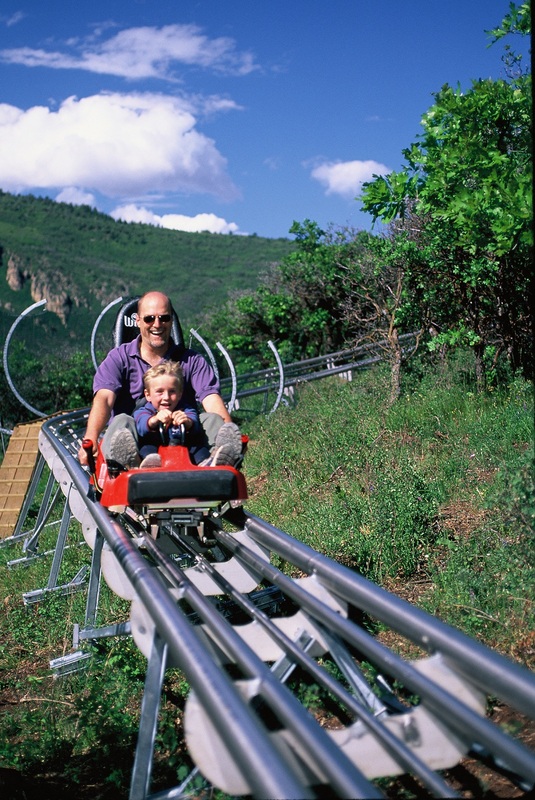 Visitors looking to add a little spice to their Glenwood Springs getaway can opt for the thrill rides available at Glenwood Caverns Adventure Park. The Giant Canyon Swing will launch riders out over Glenwood Canyon, 1,300 feet above the Colorado River! Those brave enough to open their eyes will glimpse spectacular views of the canyon and Glenwood Springs below as they soar through the air at speeds up to 50 miles per hour. Other scream-inducing rides include the Alpine Coaster and Bungee Trampoline. Glenwood Canyon Zipline Adventures which opened this summer to rave reviews is another thrilling way to add a little zest to a late summer vacation. Located at the No Name exit, just 1.5 miles east of Glenwood Springs, this zipline offers high flying fun that sends riders flying across the Colorado River, suspended 40 feet in the air. Visitors can also test their balance and bravery on the high ropes course and rock climbing walls there. If that weren’t enough, Glenwood Springs’ calendar of events is brimming with activities that will satisfy the entertainment appetites of kids of all ages. Every weekend through Labor Day professional actors entertain crowds at the 7th Street Bridge near Glenwood’s historic train depot. The Glenwood Vaudeville Revue will have audiences in stitches with their antics rooted in classic vaudeville acts. And every weekend through Labor Day, portrayalists wander the streets of downtown Glenwood Springs and bring to life John “Doc” Holliday and Kid Curry, two of the town’s most famous residents in free roving performances. The Founder’s Day celebration on August 28th recognizes Glenwood Springs’ historic 125th birthday celebration. Join this free festival that is open to the public at Glenwood Springs Elementary School from 4:00 to 8:00 PM. The retro-inspired event will have lots of old-fashioned goodies and games including live music, an old-fashioned pie contest, storytellers, a barbecue and Frontier Historical Museum tours guided by the ghosts of Linwood Cemetery. Other events brewing in Glenwood Springs include Friday Night Flicks at Two Rivers Park every Friday in August, Music on the Mountain every Saturday from August 14th through September 25th (except Labor Day weekend) at Glenwood Caverns Adventure Park, the 48th Annual Fall Art Festival is September 22-26th, and farmers markets every Tuesday and Saturday. See http://www.visitglenwood.com/annual-events for all the details. Summer in Glenwood Springs is still sweet and ripe for the picking, but like those peaches at the farmer’s market, it won’t last forever.